The response has been remarkable. Since 2011, The World’s Largest Golf Outing has raised over $3.5 million for various charities, and this year’s event right now has 26 States and Ontario on board with upwards of 3,000 pre-signed golfers, and is shaping up to be one of the largest in history. 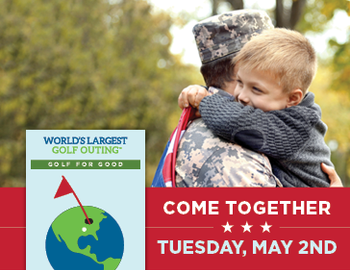 Supporting Fisher House Foundation and Arnie’s Army Charitable Foundation, WLGO 2017 will take place on Sunday, April 30th, Monday, May 1st or Tuesday, May 2nd at over 125 golf courses in the United States and Canada.